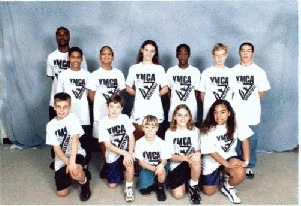 *The Blazers joined the Mt.Trashmore YMCA Youth Basketball League. *Glen Harriott was named head coach. *Robert Feito from St. Greggory, was the first drift pick in team history. *Steven Brathwaite from Grand Avenue was a first round drift pick. *John Rabulion was named team MVP. *Robert Feito was named Sixth Man of the Year. *Robert Feito set the record for the most points scored in a game; with 20. *Steven Brathwaite became the Blazers all time leader in assists and steals. *Robert Feito number 22 was the first Jersey to be retired in team history. *Terry Rodriguez was named as head coach. *Glen Harriott was renamed as head coach of Blazers. *Robert named assistant coach; First former player to name as coach of the Blazers. *Gregg Bressette and Tony Otter Of Landstown were selected as first round draft pick. *Ivan Johnson was named team captain. *Tony Otter was named Sixth Man Of The Year. *Dennis Otter is named assistant coach. *Tony Otter & Gregg Bressette were Named co-captains. *Robert Feito, Gregg Bressette, & Tony Otter were named Blazers Hall of Fame. *Gregg became blazers all-time record holder in games started. *Tony Otter & Gregg Bressette were named co-MVPs. 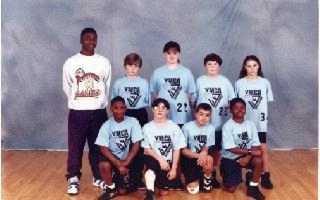 *Xavier Collins, Gregg Bressette & Tony Otter were named to VA Beach YMCA All-star team. 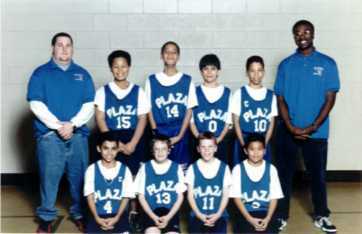 * Team moved to Plaza Recreational Basketball League. *Steven L. of Cooperate Landing Ryan S. were first round draft picks. *David W. placed first and LeAnder W. placed second in the Elk Lodge Free Throw Contest. *Ryan S. named Sixth Man Of The Year. *Seve O. named the Most Improved Player. *Steven L. named Team MVP. 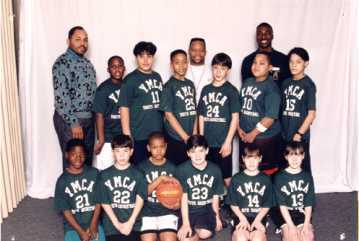 *Tony C., Steven L. and Ryan S. were named to VA Beach YMCA All-Star Team.